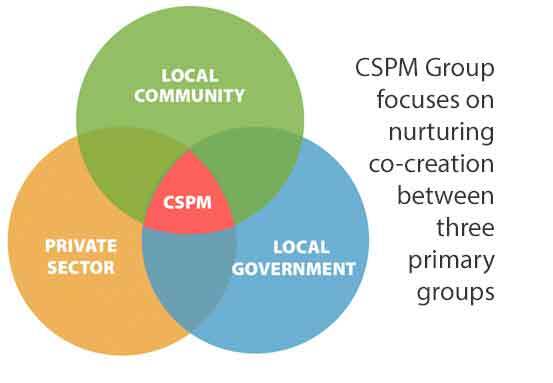 CSPM Group provides a ‘crowdsourced placemaking (CSPM)‘ program that generates collective impact and investment in partnership with the local community, municipality and private sector developers and investors. The foundation of this partnership is a commitment to the triple bottom line; being economically, socially and environmentally beneficial. Everyone’s priorities are met: The local community is listened to and its values realized, the municipality has happy citizens and sustainable sources of revenue, and the private sector has a predictable path to profit. At the heart of all of this is a legitimate process, one that is trustworthy, fair and predictable. Deny people legitimacy, and they will come out and defeat you. Provide legitimacy and they will support you enthusiastically. The market development system utilizes an approach known as crowdsourced placemaking (learn more here). Crowdsourced placemaking is defined as the act of taking placemaking tasks traditionally performed by real estate institutions and city agencies and outsourcing it via open call to a large community with shared positive values… to transform existing spaces into inspiring destinations that people are passionate about and feel invested in. A community-wide market of enthusiastic supporters is established by connecting with people of passionately shared interests in the ‘Long Tail’ of real estate development. The theory of the Long Tail is that our culture and economy is increasingly shifting away from a focus on a relatively small number of decision makers at the head of the supply curve and toward a huge number of niches in the tail. 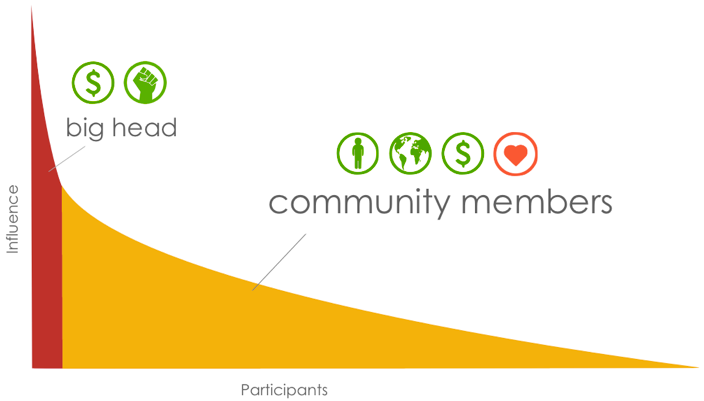 The Long tail is ‘everyone else’ that as a whole has greater influence than the ‘Big Head’. CSPM Group organizes the Long Tail as an influential market community with a shared interest in creating a vibrant destination. CSPM Group provides a crowdsourced placemaking system (known as the CSPM System) that produces a long tail of enthusiastic supporters and investors for triple-bottom-line urban revitalization. Learn more about how the CSPM System works here. The following projects are currently invested in CSPM initiated and managed crowdsourced placemaking programs. Bristol, CT – $1.5B urban development in downtown Bristol, CT, pop. 61K. Crowdsourced placemaking process was developed and managed since October 2010, now with 2200 members who as a whole are integral to the approvals, planning and tenant recruitment process, including the planning of a central piazza and three new storefront businesses. A crowdsourced placemaking event in August 2011 previewing the piazza attracted a record crowd, one-fourth the size of the city’s population. Learn more. Hempstead, NY – $2B urban development and revitalization of a 25-acre transit-oriented downtown on Long Island, crowdsourced placemaking process was developed in March 2011, initiated March 2012. Learn more.